LONDON (AP) -- It was the wedding that captivated the world. Lady Diana Spencer said "I will" to Britain's Prince Charles, becoming Princess of Wales and bringing fresh youth and glamour to Britain's royal family. Now, 36 years later, The Associated Press has restored original footage from the July 29, 1981, wedding and is releasing it in 4K on YouTube. The 4K video is such high quality that viewers will be able to pick out minute details of the wedding ceremony that captivated the world. Movietone knew that it was going to make a film to be shown in cinemas worldwide and were keen to shoot the footage in the same format. At Re3tore, a film restoration laboratory in London, the decision to use 35 millimeter film is welcomed because it means they can increase the resolution of the film, up to 8K if they are asked. The detail is so clear that for the first time you can see that you can pick out every crease in Princess Diana's meringue style dress and twenty-five foot train which were crushed in the carriage ride to the cathedral. The public had huge affection for Diana, whose marriage to Charles later fell apart. It was not the fairytale ending that everyone expected. Charles and Diana separated in 1992 and divorced in 1996. A year later, she and companion Dodi Fayed died in a high-speed car crash in Paris. The 20th anniversary of the crash is on Thursday. 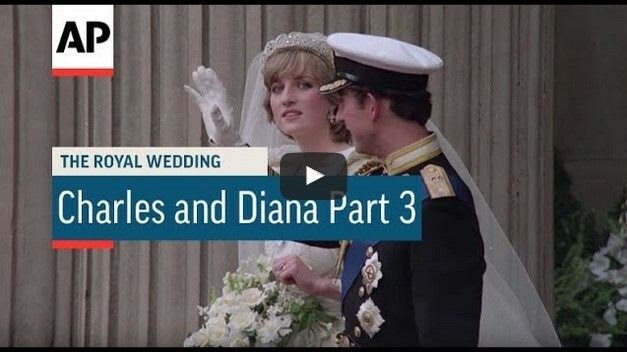 Watch all parts of videos of Royal wedding of Charles and Diana. 0 Response to "WATCH: Royal wedding of Charles and Diana remastered in 4K"